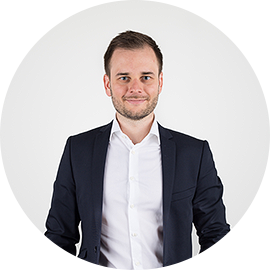 Bösch Boden Spies starts 2019 with a new ingredient – one with special qualities. The new acerola cherry puree from our Brazilian partner Niagro contains 25 percent more vitamin C than all previous varieties. This novelty is the result of years of development, and it is very versatile. Congratulations, Niagro! Our longstanding partner from Brazil, the world’s largest producer of acerola cherries, is eclipsing all previous vitamin concentrations with the vitamin C content of its new acerola puree. The freshly minted world vitamin C champion is now available as part of the Bösch Boden Spies portfolio. Yoghurt, ice cream, smoothies, jams, fruit preparations for baked goods, baby food, and much, much more: the new acerola puree is a real jack-of-all-trades when it comes to possible applications. Food manufacturers can use it to add an extra portion of vitamin C to every recipe. Because its vitamin content is 100% natural, the puree is perfect for products designed to receive a clean label. 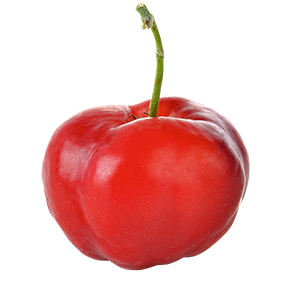 In addition, the acerola cherry has a health claim from the European Food Safety Authority (EFSA), which opens up a wide range of application and labelling options for producers. A good 20 years of intensive research and development work have gone into the new puree version. Together with their growers, the acerola specialists at Niagro selected and crossed acerola plants that were particularly rich in vitamin C. The plants were then cultivated in the same way as the acerola plants. The result: acerola varieties with consistently high vitamin C concentrations. The new acerola puree complements Bösch Boden Spies’ existing range of fruit purees. It has the tangy fruity taste characteristic of acerola cherries, and is orange-red in color. The vitamin C world champions are an ideal substitute for synthetic ascorbic acid E 300 because they minimize oxidative processes in foods. They also ensure a stable product color. 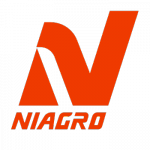 Our Brazilian partner Niagro, founded in 1992 by Japan’s Nichirei Corporation, is a specialist in acerola products. The acerola cherry is a stone fruit (or drupe) with white-yellowish pulp. The color of its skin ranges from green to red depending on the degree of ripeness.